Yes, that was a Nacho Libre quote to start us off. This is the direction we’ll be taking, I guess. I’m writing a second “About” page just so you have some background and secret insight into my life, ya’ll. My parental units at a fundraiser. My parents are nice people. They like having friends and family around; my mom makes sure we have snacks for everyone and what not. They are a little bit crazy, best evidenced by the fact that all five of their kids were home-schooled for a large portion of the formative childhood years. And who would do that unless there was a little crazy lurking somewhere, right? This is what I imagine they thought: “I think I’ll spend every moment of the next twelve years sacrificing everything I have. Oh, wow, great idea!” That, my friends, is homeschool parenting as far as I can tell. Anyway, I live with the ‘rents and three of my siblings in a house with a guinea pig named Kiwi. I know it’s weird within the largest American culture to live with parents but, (and this is for informative purposes) within American culture there is a sub-culture called “conservative culture” and there it’s not unheard of to participate in these kind of shenanigans. Plus, outside of America it’s kind of the norm to live in family-units. Plus, we’ve already established there’s a little bit of crazy so: why exit the train while it’s rolling, right? So, pretend I live in a hippie hostel and you’re getting warmer. You’re also welcome to stop by. We legit have a Camino de Santiago* shell pointing out our house, just so you can find us easier. *The Camino de Santiago is an ancient pilgrimage you can walk or bike or horseback ride through Spain. The “Way” is marked with shells and arrows for miles upon miles. We’ve all followed those shells together and arrived in Santiago at one point in our life experiences. Also: “Seashell Nell”…get the connection?? So, my siblings are all basically my favorite people in the entire world…which is convenient on so many levels. My oldest brother is David. He’s married to Esther, and she’s the bomb.com. I love them both. That is how I talk with David. Actually, that’s how I talk to Esther, too, only less about cars and jobs and more about boys and how to kindly and gently and lovingly care for all of our friends. Oh, and which of our friends need to meet each other so they can get married and we can doll up and attend more weddings. Sacraments, ya’ll. David and Esther AT A WEDDING. Love them. There are twins in the fam, Christine and Paul. Christine is my only sister, so it’s us against the world (i.e. the boys) in solving all the problems (i.e. persuading the vote on family movie nights). We’re both strong willed, but her will is sometimes stronger but I always play the “I’m older” card, so things usually work out. Her quotes are hilarious and I’m forever telling people things she has said to me. Paul and Christine, packing for the grand backpacking adventure of ’13. See? Even his skin is sensitive. Sometimes we play “Song War” and other times we go thrifting together and other times we work on plays together. This is what Josh looks like in my mind. Orange-couch throw-back! Joshy is the baby and I still call him “Baby Josh” even though he’s a million feet tall and goes to college and works the p.m. shift at a hospital and has had a steady girlfriend (Juli-YEAH) for years now. I call him Baby Josh because I still remember the one time I was reading a book when I was little and he came up to me and said, “Hey, do you want to snuggle?” and then he fell asleep on my shoulder. 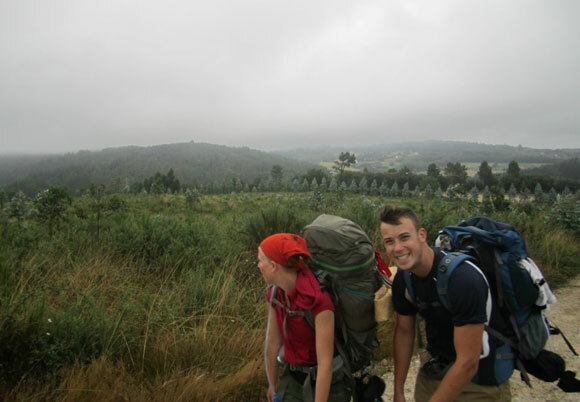 Josh and I on the Camino. This was a special day–and one of my favorites. We had just finished praying a rosary and Josh said one of his favorite prayers is a special ending-prayer to the rosary. And then we enjoyed the beautiful scenic views that surrounded our Camino. Kiwi is our baby baby baby little guinea pig. We dote on her. We should probably get a dog. As of Lent 2012, I stopped eating gluten. A few months later I stopped eating meat. These decisions were made for medical purposes, but the Polish culture where I was raised is perpetually perplexed by my new diet. My siblings love to make fun of the restrictions, but I usually laugh along, too. Sometimes I make wretchedly disasterous new recipes (last night, for instance: no-bake, health-food-store “brownies.” cough) but sometimes I make tasty food and, to help me remember the good times, I post my gluten-free, meat-free successes on this blog. If your Sherlock-skills didn’t sleuth well, here are some clues you should have: (1) We have a large-ish family. 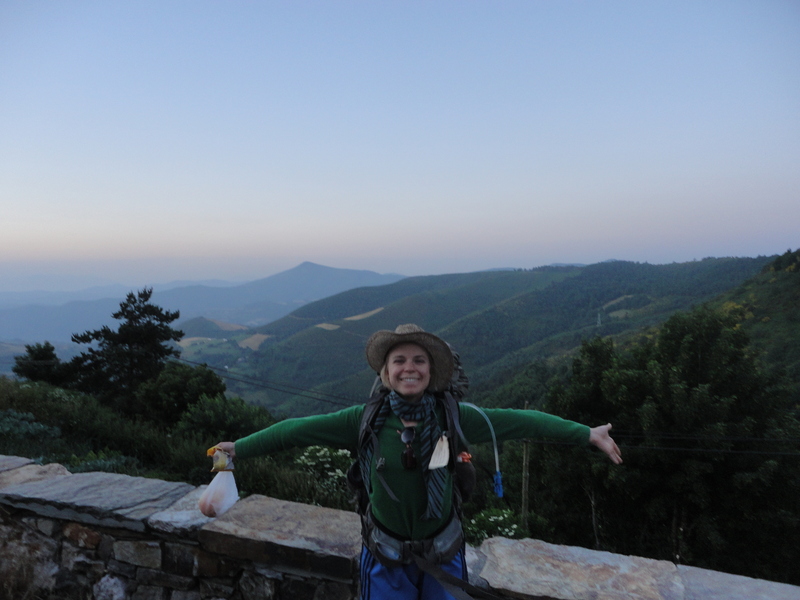 (2) We’ve all walked the Camino de Santiago. (3) I celebrate church holidays like Lent. All the way back in 2011! That pretty much sums up how I feel. With the grace of God, I would die for the Church. And I love Jesus even more. (Also, in case certain readers are looking to martyr me, please note that my preferred martyr companions of choice are Fr. Pio Maria, CFR and Fr. Ryan as they would make me laugh the entire time and probably vouch for me at the pearly gates. Please and thank you. Also, they have not approved this message). General about-me: I love learning things, I love trying things. I love creating and talking and exploring and color and travel and reflection. I love water (drinking. I’m not really a swimmer. At all). I love dance. 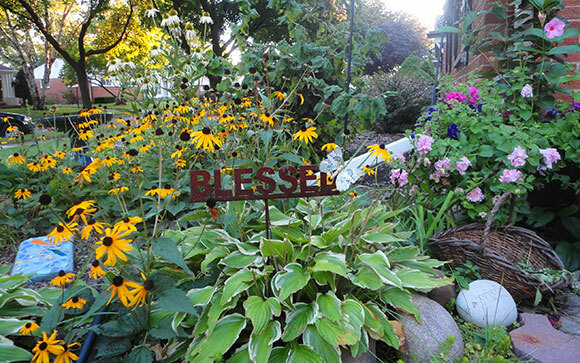 I love animals and friends and FLOWERS. I love saying, “I have an IDEA” and how my friends are all kind enough to listen, even when half of my ideas are actually very bad. I love seasonal fruits and veggies. I love hosting events. I love watching people dance, seeing old couples (doesn’t everyone? ), the sight of bare-winter trees against the hues of November grey, the smell of snow melting, and bug song on summer nights. This is me on more adventure than you could press me to imagine. Insanity-Camino 2013. I want to be better at circus and music and listening and loving. I wish I didn’t lock my keys in the car so frequently. I wish I was better at tidying up after myself. I have flaws, I have love and, most importantly, I have the grace of a good and loving God who gifts me beyond comprehension with life, love and generosity every single day of my existence. This is me, this is my family, this is my life. Buen Camino, dear ones, buen Camino. I treasure your readership. Franklin is not in this post. A ‘spirited’ about !! I have been thinking I would like to do the Camino de Santiago sometime soon. How long did it take you on foot? I will do it God willing. He will throw some tickets my way .. just as He did last year and year before. Dirt cheap – and I mean Dirt cheap tickets for the canonisation of two Popes 2014 and Exposition of Shroud 2015!! How we got notice of those specials was in itself His awesome work!